Welcome back to week 44 of #SharingtheBlogLove, thank you to everyone that joined us last week and for popping back again this week. The week’s are flying by at the moment and I can’t believe its only 2 weeks until half term. What a short half term this one is. I hope the sun decides to join us. It’s not been too bad here, but not as sunny as some people have had. 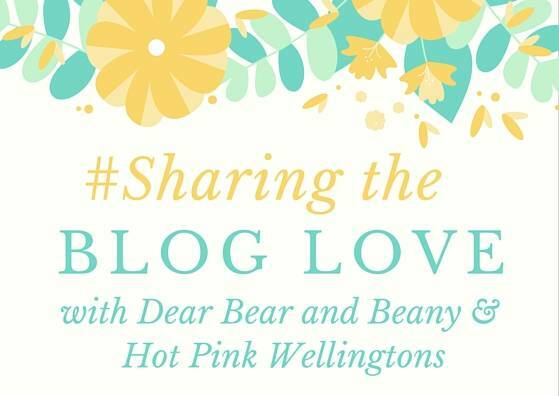 What is Sharing the Blog Love all about? If you are new to Sharing the Blog Love it is a weekly showcase of our favourite posts that have linked up. A chance to introduce you to new blogs and sharing the fabulous talent that is out there. All you have to do is link up your post, then Katy and I will both read all the posts linked up and leave a comment. We will then each showcase our 4 favourites the following week, as well as tweeting them throughout the week. That means 8 brilliant posts every week will be showcased each week. If you’re chosen as one of our featured posts, we’ll include a link to your blog post and a summary of your post and why we loved it. We will also add the featured posts to StumbleUpon, to hopefully give them some extra traffic. Please visit both the host post and choose a featured post from each to comment on. To give them some extra love! Of course it would be lovely if you commented on more posts, as that is what makes the blogging community so fabulous! Sharing the Blog Love open’s every Thursday at 6am and close’s on Sunday at midnight. Thank you for joining Katy and I, we can’t wait to read all your fabulous posts.